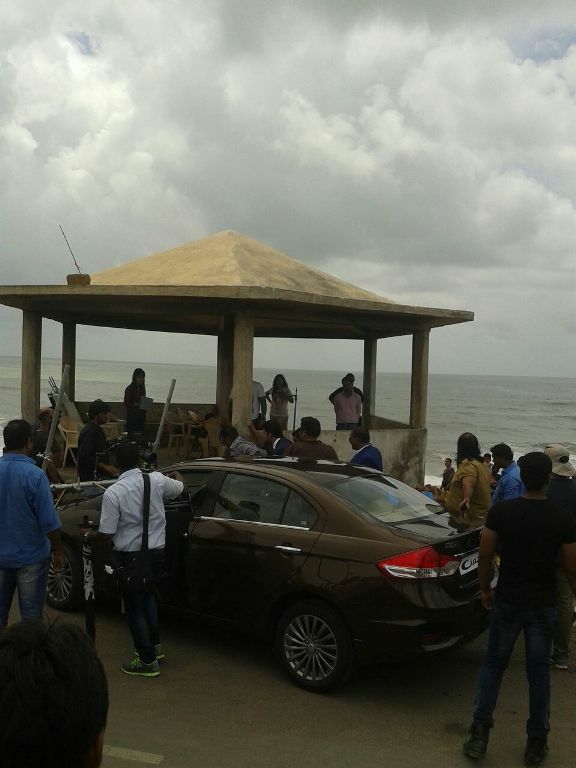 Recently Famous Bollywood Star "Ranveer Singh" visited Madhavpur Beach for Shooting of New Car Model. Ranveer Singh got name and fame from his last movie "RAM LEELA" and then GUNDEY. Most of the Part of "Ram Leela Movie" was shoot in Kutch Gujarat and hence that movie was super duper hit in Gujarat and rest of the places. This time Raneer Singh was spotted in Professional Look wearing White Shirt, Blue Tie and Blue Trouser must be matching with Professional Blue Blazer for Advertisement of New Car Model. Lots of Ranveer Singh Fan gathered to the place, where Car Advertisement Shooting was going on. This Shooting was done on 27th August 2014. Gujarat State Tourism have put their all efforts to promote Gujarat Tourism Industry across India and globe, so this type of Bollywood Star Ad Shoot in Gujarat Beaches would definitely welcome by lots of Gujarati People. 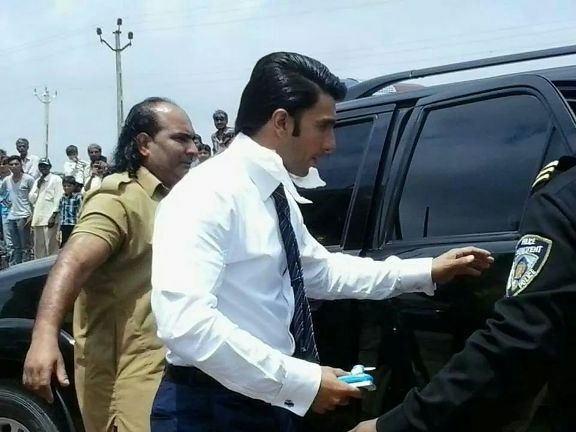 Ranveer Singh visited Madhavpur Beach which is located very near to Porbandar City of Gujarat. Ranveer Singh Fans are very excited and rush to take Autographs and Clicks at Shooting Location, when Media have highlighted this news in the morning. Madhavpur Beach is very famous beach in porbandar district. Ideally Gujarat Beaches are less famous due to it's geographical location, but this beach is getting famous as days passes and aggressive Gujarat Tourism Advertisement done by none other than Amitabh Bachchan. Upcoming Movie of Ranveer Singh is Bajirao Mastani with well known director and producer Sanjay Leela Bhansali will release in Early 2015.